Should Radio Location be removed? 1. Should Radio Location be removed? It should remain, but not in its current form. After some procrastination, I have finally decided to address an issue that I have been chewing on for quite some time, namely whether I think that the much-debated captain skill 'Radio Location' is good or bad for the game. Should it be kept? Should it be removed? Or should it possibly be changed in some way? I will argue my point below, and I invite you all to vote and debate on the issue. Let me begin by stating that I try to maintain a positive attitude to those various changes that affect the game from time to time. World of Warships is an online game under constant development, with new ships, game modes and mechanics added on an ongoing basis. This is obviously a good thing. Change is vital to the game's continued survival, and I think we owe it to the development team to take our time and evaluate new features with an open mind. With that preamble out of the way, on to the point. How do I feel about the 'Radio Location' skill? In short, I don't like it. My reasons are as follows. Given that player versus player gameplay is the core of the game, the pre-eminence of personal skill as a deciding factor is not only a desirable thing; it is absolutely vital. Unless the game keeps rewarding players for learning and improving their gameplay, the game would quickly stagnate and die. At the same time, however, the game must also remain fun and entertaining for beginners and more casual players. In short, a game like this should ideally be easy to learn, but hard to master. To my mind, Wargaming has managed to balance these factors very successfully in World of Warships. In a PvP environment such as the one described above, a certain place is held by those kind of game mechanics that I tend to describe as falling into the "Clairvoyance" or "ESP" category. Simply put, they tell the player something he wouldn't otherwise know. A prime example is the aforementioned Captain Skill 'Priority Target', which tells the player how many enemies are at any given time aiming at his ship with their main guns. He might get a good idea of this simply by watching where their gun turrets are pointing, but the Captain Skill in question gives him immediate and accurate information. It should be said that these kinds of skills are not by their nature always a bad thing to have in a game; it is - as ever - a matter of balance. Another example of this kind of "ESP" game mechanic is, of course, the main subject of this poll: The Captain Skill 'Radio Location'. If your captain has it, it shows the direction to the nearest enemy ship, while simultaneously informing the enemy player that he or she has been thus located. 'Radio Location' is obviously a hugely useful skill. It will let you know where to find, and from whence to expect, your nearest enemy, making it easier to avoid or chase him down as you see fit. It will let you pre-aim your main guns, launch torpedoes with a fairly good chance of scoring a hit, and - with a little bit of team chat - keep your allies posted of his general movements. By working together with a team mate who has the same skill, you can even triangulate your enemy's position. 'Radio Location' does cut a bit both ways, however. In addition to supplying you with all this information, it will also let your enemy know that you have this information at your disposal. Being thus 'Located', he will know that you are on to him, that he should be on his guard, and that torpedoes and enemy ships might very well be incoming. Your chances of surprising him with, say, an ambush and a torpedo strike when he comes around that nearby island, will be severely compromised. One important and hugely rewarding aspect of any World of Warships battle, is - to my mind, at least - trying to outguess and outplay your opponent. Where is he going now? What will he do next? How can I anticipate him and defeat him? When 'Radio Location' is in play, a lot of this game element is lost. There is no outguessing your opponent, since you do not have to guess anymore - you know (more or less) where he is, just as he knows that you know. And knowing, while admittedly useful, is not always as fun as guessing. In short, 'Radio Location' removes an element of individual player skill, and replaces it with a game mechanic. This takes the game one step away from being a test of individual player skill, and moves it a bit further towards the realm of click-and-play. This, in my opinion, is the wrong way to go. I should make it clear, here, that I am seeing this as a small step along a sliding and continually shifting scale. 'Radio Location' is not in any way a game-breaking mechanic, as some doomsday prophets would have it back when it was first introduced. It's not even all that much of a game-changer, although for me there is this recurring mental pain whenever I see that dreaded word, 'Located', appear on my screen. It's not the end of the world, or even of the battle - it's just not very fun. In conclusion, it is my considered opinion that 'Radio Location' should be removed. I have voted as such in my poll. Appendix 1: I can see how Wargaming might not want a hole to suddenly appear in their neat little skill tree, and that having four rogue skill points on the loose might also have other detrimental effects on game balance. Ideally, a skill that is removed should probably be replaced with some kind of substitute. I have no definitive thoughts on this, but I invite debate. I will toss in the thought that a new skill that affects the upcoming carrier gameplay, or even submarines, might perhaps be one way to go about it...? One important and hugely rewarding aspect of any World of Warships battle, is - to my mind, at least - trying to outguess and outplay your opponent. Where is he going now? What will he do next? How can I anticipate him and defeat him? When 'Radio Location' is in play, a lot of this game element is lost. There is no outguessing your opponent, since you do not have to guess anymore - you know (more or less) where he is, just as he knows that you know. And knowing, while admittedly useful, is not always as fun as guessing. let me play Devil's Advocate for a moment and turn this section around on you. Where's the skill in pure guesswork? Because there's a lot of skill involved in making the most of the imperfect information that RL gives you - similar to Priority Target that you mention above, sure it gives everyone that has the skill the same information, but there are a lot of different things that can be done with that information, some of them a lot more difficult than others. And this extends to all areas of play, from the individual 1v1 engagements to macro level strategic decisionmaking, both for yourself and the team at large. Let me give one example, or two perspectives on one example to be more precise: Radio Location as an enabler of risk-taking. This comes from a lot of experience in top-level competitive play, particularly relevant in Clan Battles where the lack of CV spotting makes the information game a lot more interesting. On an individual level, Radio Location gives me information that I can use to judge risks in committing to a certain push - if I didnt have the information that my RL is pointing towards that ship or area (so I think I know whether I'll be spotted/flanked doing what I'm about to do), there's a good chance that I wouldn't feel comfortable in making a push. But at the same time, there's still a very decent chance that I'm simply misinterpreting the information that I have, through either my own negligence or smart play on the opposing side. So, RL gives information that enables risktaking, but doesn't at all take away said risk completely because it's always imperfect information. And on a macro level, Radio Location again gives the entire team information about what the enemy may be doing (particularly through triangulation), and thus enables strategic decisionmaking. But this information can also be manipulated - you can "simulate" a certain strategy through having a decoy ship "drawing" the enemy RL pointers and leaving them unsure just how heavy a force their RL is actually pointing towards. So, overall, yes Radio Location "magically" provides information, and that can be problematic at times - but that information is always imperfect and open to interpretation and, to an extent, manipulation. So to me, and I'm somewhat surprised to be saying this considering how much I hated the idea when it was introduced, Radio Location creates information in a way that creates more opportunities for skillful play than it removes. You argue well and to the point, Sir! Your description of how skilled teams can use the information provided by 'Radio Location' for direction as well as misdirection, is very interesting. It underlines how much tactical complexity - in a good sense! - is built into the game design. So I have learned something already by opening this thread, and I thank you for that! I would also like to argue one of your points. You question what skill there is in pure guesswork? I would say that there can be a lot of tactical skill involved in such guesswork, when it comes to anticipating contingencies in an ongoing battle, online or irl. And while I concede that some amount of "ESP" information - such as that provided by 'Situational Awareness' and 'Priority Target' in the game, or by naval intelligence services irl - can enrich this tactical element, there comes a point where the balance is tipped and suspense is lost. I can happily do without such suspense in real life, but I do want a measure of it in the game. On which side of the fence 'Radio Location' ends up is largely matter of personal preference - hence this thread - and while my vote to remove it still stands, I will readily agree that 'Radio Location' is certainly not "all bad" to the game experience. Your post proves that. I see both sides of this very well argued point. RL/RPF was the latest of a long line of 'sky is falling' changes when it came out; to me it' neither a vital nor a pointless skill. It's one I'd prefer to have but don't lose sleep over if I can't slot it. Also, using it means losing out on something else and there is also skill in working this out when fighting something which has it. On which side of the fence 'Radio Location' ends up is largely matter of personal preference - hence this thread - and while my vote still stands as cast, I will readily agree that 'Radio Location' is certainly not "all bad" to the game experience. Your post proves that. Indeed. And neither would I argue that Radio Location is without its negative aspects - there are certainly situations where being located "breaks" someone's game (I've certainly hunted down my fair share of DDs that simply couldn't escape because I knew which direction I should be looking for them, and been on the receiving end as well). Overall, I'm just slightly more on the "good" side of the proverbial fence, because I like playing around with information, but there are plenty of valid arguments against it as well. And yes, it's certainly fair to acknowledge that in this case at least, Wargaming did indeed know better than the very vocal part of the community (myself included) that thought Radio Location would be a complete disaster of a skill. RFP can be used against you, so I'm pretty neutral about it. You don't care for 'Priority Target'? I actually rather like it. Similar to the now built-in 'Situational Awareness' mechanic, it allows you some space to know when you don't have to zig-zag like a madman, but it won't really save you in the long run if someone targets you with a determined mind. I wouldn't lose any sleep if it was removed, though. If a skill gets to be totally mandatory, in that you are basically at a grave disadvantage if you don't take it, there is very likely a good argument for either removing it or (as with 'Situational Awareness') making it into a standard feature. 'Priority Target' kinda sits on the border, here. Your description of how skilled teams can use the information provided by 'Radio Location' for direction as well as misdirection, is very interesting. It also underlines how much tactical complexity - in a good sense! - is built into the game design. So I have learned something already by opening this thread, and I thank you for that! I would also like to argue one of your points. You question what skill there is in pure guesswork? I would say that there can be a lot of tactical skill involved in such guesswork, when it comes to anticipating contingencies in an ongoing battle, online or irl. And while I concede that some amount of "ESP" information - such as that provided by 'Situational Awareness' and 'Priority Target' in the game, or by naval intelligence services irl - can enrich this tactical element, there comes a point where the balance is tipped and suspense is lost. I can happily do without such suspense in real life, but I do want a measure of it in the game. On which side of the fence 'Radio Location' ends up is largely matter of personal preference - hence this thread - and while my vote still stands as cast, I will readily agree that 'Radio Location' is certainly not "all bad" to the game experience. Your post proves that. since aiming with torpedo tubes do not trigger 'Priority Target'. And yet, you can see counter go down when someone switch to torps, then go back up again when they go back to the guns. But maybe it was a TRAP! RPF can tell the enemy also something - whether he knows how to use it is up to him again. Its not as accurate as RPF itself, but it also tells you "hey, something is coming MY way"
F.e. you are a DD going to Cap B (regardless of map) and you are located. At the same time, one of your DDs go to A and C each, while you remain located. Basicly you can speculate, in which proximity the enemy ship with RPF is (must be) in order for you to be located. Otherwise, it would be someone else. I dont like it either - makes you "less aware". For players who dont develop any real sense of WHY they are targeted, it pretty much equalizes the skill compared to someone who does know that. The real problem starts with it being a 1pt cptn skill. 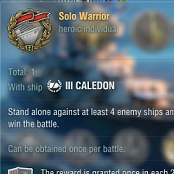 Often you can have 1pt free at the end, so you might take it regardless if you need it or not (happened to me couple of times) while i personaly prefer EL (its just must have for certain ships) or PM. I think the biggest advantage its when you are targeted by 1 or 2/3 ships. If you are in a position, where you only have few enemies infront of you, having MORE than 1 looking at you should tell you something. If you are so bad out of position, that it says 4++, then it doesnt really matter does it? Very nice thread. I'm neutral for now. I don't like RL particularly and I don't use it myself, but I do recognize its benefits. For more competitive modes - Ranked and CBs - it provides a clear benefit. For Random games - you can make argument both ways. I have chosen to go without because I've enjoyed the game more that way. I might make some changes for next Ranked though. In conclusion: I'd wait with any changes to the skill until after the CV-rework and in particular after submarines are introduced, if they are going forward with them. I'm neutral. I only have it on my Gearing. And yes it is a handy feature but on other sips I rather spend my points elsewhere. Well, it's still in testing. I'm not sure of its implications tbh. I mean that they're even considering this is hilarious one way or another. Reworked CVs will very likely remain the best scouts in the game by far, giving them even more battlefield info is just asking for trouble imo. On the other hand I guess it's a huge investment requiring you to take 3x 4-point skills depending on how effective "Sight stabilization" is. No. Keep it. Useful but not OP skill that is not always a must and can be used against a player using it just as easily as by the player with it. A skill that everybody was going to quit the game over but hasn’t, because it hasn’t broke the game. Just like when they removed stealth fire, smoke changes etc etc etc. I agree with the above, keep it. It's situational, work both ways and is expensive. It is one of those skills everyone really wish they'd picked from time to time, as well as it's also one of those where the 4 points as often could've been spent on something more "usefull". It's in my opinion one of those skills where you really have to consider if you'd want it or not (and go for something more usefull), hence it's actually a good skill to have in the tree. Still I voted "yes, remove it". Why? It gives you i nformation you're not meant to have. It's a huge advantage, removes skill and dumbs down the gameplay. Besides it was one of those unnecassary nerfs to Destroyers, aka "stealthbuffs" to Battleships (their players) that are unable to look at the minimap at least once in a minute. Just look at clanbattles...it's mandatory there on Dd and Cruisers (even some Bb take it as 3rd Lvl 4 skill).